As I earlier mentioned to you guys Vienna was one of the stops of the mini trip. I already posted the pics we took in Bratislava, now it's time for Vienna. On the first day after a big walk around the historic center I visited the Sissi Museum in Hofburg Palace. Such a great exhibition, on view is one of the few remaining summer dresses of the Empress, the reconstruction of the Hungarian coronation dress, her jewellery, famous portraits, etc. I also visited the Imperial Apartments, the rooms are in Rococo style, with rich stucco work. I had a vision in my head living between those walls as a princess..well,who knows what 2015 will bring me, haha! I love the way you can combine prints, they always looks so effortlessly good together. I really like the colors in this outfit. That coat is to die for too! Beautiful outfit! Love your cute skirt! Amazing scarf! Vienna looks so beautiful! Love the pattern on this skirt, beautiful photos! Amazing place! Love the mixprinting you've done there! Una combinación perfecta! Me gusta como queda el estampado de la falda con los cuadros de la bufanda. Love these greens on you! :) I would really love to visit Vienna, it must be so beautiful! Lovely photos! You can definitely mix prints like a pro! 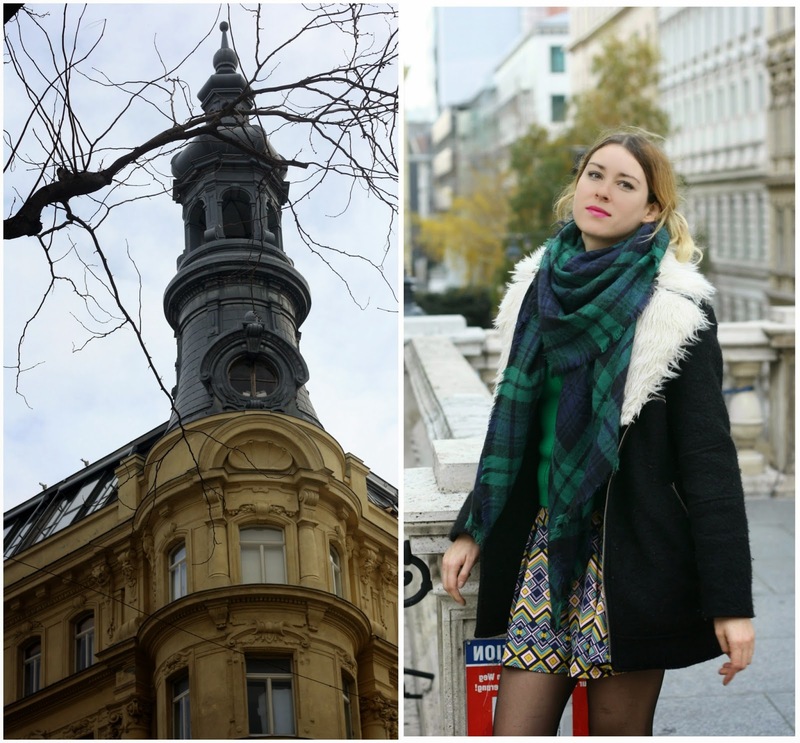 The photos also make me want to travel to Vienna so badly! Such a perfect look and love your scarf! loving the print of that skirt and all of the greens!! Such a pretty outfit, and gorgeous location!! Hope you have a great weekend!! I love how you combined different shades of green in this outfit, it works so well! Great look, love the skirt!Kisses! Loving the pics!!!!! Glad the scarf kept you warm! 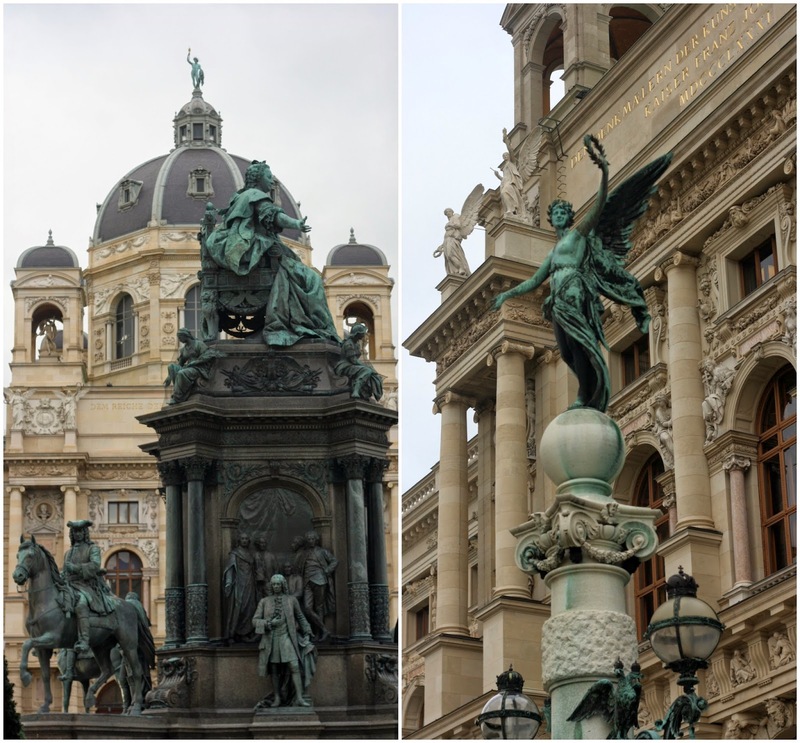 These photos are gorgeous and remind me of my own trip to Vienna. It's such a beautiful city, and you did an amazing job at capturing that in your photos. I am also in love with your outfit; the jacket that you're wearing is very cute, and that scarf looks so cozy. Fabbbulous outfit! LOVVVE all of the shades of green! Soooo chic! Soooo beautiful with the background! So romantic! Love your skirt! Such a cute pattern! Nice combination!! Love this skirt and your coat!! Love the outfit! The mix of print looks great and those pictures are beautiful. This is so cute and chic look! Love it! Great printed skirt, looks good on you.